His Comedian's Comedian podcast has taught us that Stuart Goldsmith is obsessed with comedy. The ex-street performer is as dedicated to the art form as he is to getting the lowdown from those equally as geeky about it as he is. Listening to the podcast is a beautiful foray into the world of someone truly in love with their job and excited to share it with the world. This expertise comes to the fore when Goldsmith is out of the interviewer's chair and in front of the mic. His priorities in life may have changed since last year – he's a married man and a dad – but this isn't another cliché-ridden 'I'm a father now' show. The easy comparison he makes between his child and Hitler sees to that. Goldsmith's shtick is that he's recording the show 'for training purposes' and throughout he leans into his phone to comment on how it's all going. This is an interesting technique which moves things along, leaving room for throwaways that wouldn't fit into the body of the show. 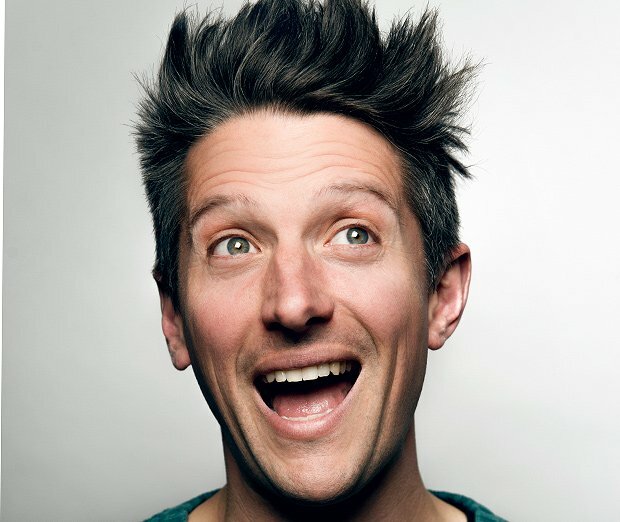 Stuart Goldsmith has truly funny bones and some wonderful turns of phrase: talking about his wife, he says, 'she's beautiful and funny, like a sunset reflected on Eric Morecambe's glasses.' The same could be said about Like I Mean It. Liquid Room Annexe, until 27 Aug, 3.45pm, free.